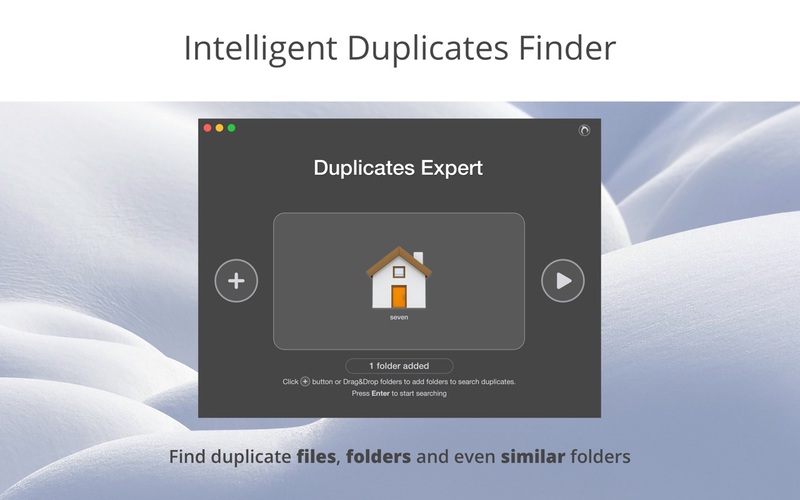 Duplicates Expert is a new generation class of duplicates managers, scanning for similar folders and supporting all external drives. The application scans for duplicates in multiple folders at the same time and presents animated duplicates chart while scanning. Once duplicate files and folders are identified, Duplicates Expert provides cleanup recommendations. The application provides visual report on duplicates scan result with charts by duplicates’ file types. It’s easy to see how much space takes each duplicate. Biggest similar folders are displayed on Overview screen, and then you can preview identical and unique files for similar folders.